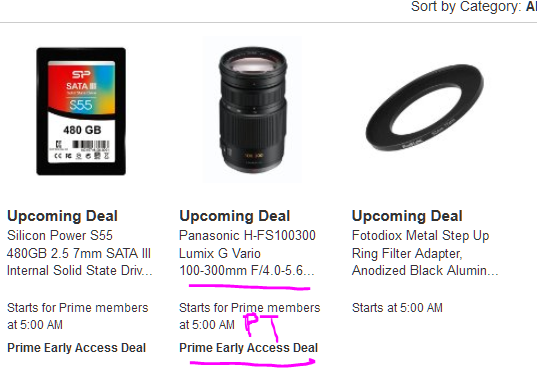 According to the Amazon Gold Box Lightning Deal schedule, starting at 8am Eastern on Saturday 3/12/16 there is going to be a lightning deal on the Panasonic 100-300 f4-5.6 Mega OIS lens. The price and seller will be revealed over there when it goes live. Lightning deals these days include items sold by Amazon and also items sold by marketplace sellers (including their own Woot). This is revealed when it goes live (unless the item has only one seller which can be a “spoiler”).